You'd be hard pressed to find a man who has saved more lives than Samuel Plimsoll. He's the 19th century British merchant who fought for all commercial ships to have a line painted on its side. This line, which became known as the Plimsoll line, marked the maximum loading point of a ship. If the line dipped below water then the ship was dangerously overloaded. But the Plimsoll line wasn’t about avoiding accidents. The invention of insurance in the 19th century created a perverse incentive for ship owners to purposely sink their ships for the insurance payout. The practice quickly became widespread, killing over 1000 merchant seamen per annum--enough that merchant vessels became known as “coffin ships.” Enter Samuel Plimsoll, a well known British merchant determined to stop this horrendous practice. So he became a member of the British Parliament and fought for a law requiring every ship to be marked with a "load line." 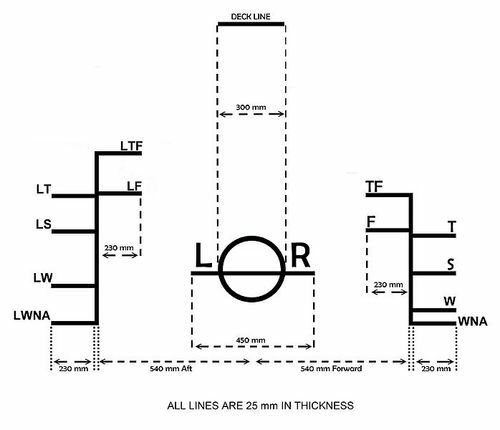 By 1930 this international load line was enforced in over 50 countries! If you look at the outer hull of any international commercial ship today, you’ll still find a Plimsoll line: a painted circle that’s bisected with a long horizontal line. It now includes additional marks to account for different water salinity and load densities, and enables any sailor or passenger to challenge the water worthiness of a boat. This simple graphic, depicted below, has probably saved hundreds of thousands of lives. How's that for high-impact "human factors" design? 99% Invisible: "Episode 33: A Cheer for Samuel Plimsoll"
National Ocean Service: "What is a Plimsoll line?" 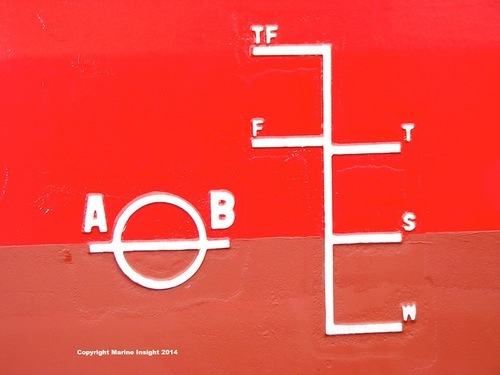 The Guardian: "The line of duty"
Marine Insight: "What is Plimsoll Line on Ships?"